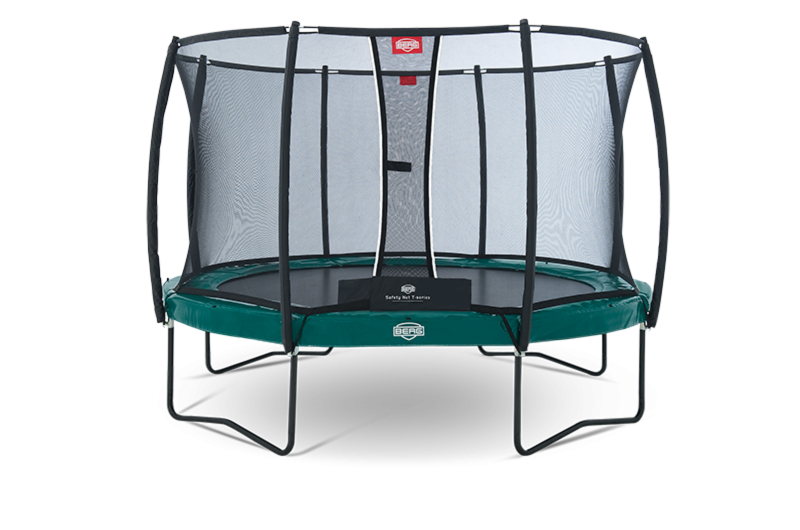 The Berg trampoline Elite+ Regular incl. 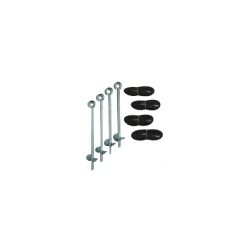 safety net T-Series is of excellent workmanship and is made of high-quality materials. Thus it offers a very long longevity. 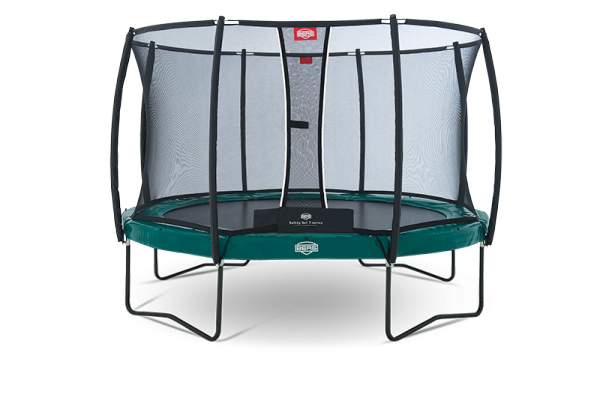 The weatherproof trampoline for the garden is equiped with a safe protective edge of 40 cm in width and 30 mm in thickness. The cover is UV resistant and wear resistant. The edge offers optimal protection and resists an extremely long, intensive use. The springs of the Berg trampoline Elite plus are attached to the jump mat by 8 times sewn triangular eyes. That makes the trampoline solid, safe, and durable. Thanks to the TwinSpring Gold springs, much less forces affect the body. The jumps get more - higher, safer, and more comfortable. The frame is galvanized and really weatherproof. Jumping on a trampoline make fun and has many positive effects on the body. Coordination and sense of balance are trained, the circulation is stimulated. Berg trampoline Elite+ Regular incl. safety net T-Series add to comparison list.